Recognizing the surface runways created by voles will be the best indication of vole presence in your yard. Vole runways are on the top of the soil, created in the grass. Recognizing the surface runways created by voles will be the best indication of vole presence in your yard. Vole runways are on the top of the soil, created in the grass. Voles like to keep these often used runways clear, and will keep the grass or other vegetation clipped close to the ground. The longer vegetation or grass surrounding the tunnels that is left unclipped forms shelter over the runways. The runways are about an inch and a half wide. Voles do create burrow systems underground as well, and you may see small mounds of dirt indicating burrow openings. These runway systems are very noticeable in the spring after snow melts. Since voles will have the extra shelter of snow, they will move out into the more open areas of your yard and you’ll see the criss-crossing paths on the ground. To check if you have voles active in your yard, or to check which runways are being used, check for an accumulation of droppings, no growing vegetation/roots in the middle of the runway, and freshly cut or clipped grass of the runway. And it’s that easy with the expert help from Do My Own Pest Control dot com! Subscribe to our channel for more DIY and product videos! 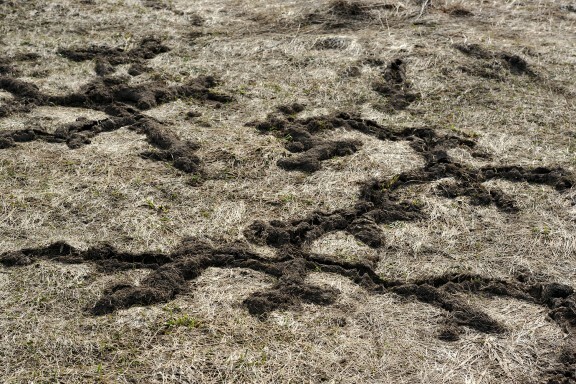 Voles create tell-tale signs of their presence with their surface runways. 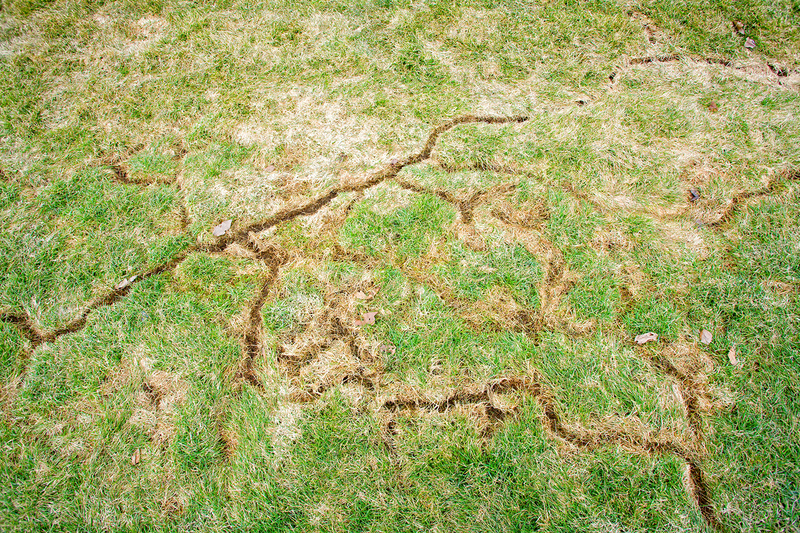 Knowing how to recognize vole tunnels and runways along with vole damage will help you inspect for voles thoroughly. Vole runways are on the top of the soil, created in the grass. Voles like to keep these often used runways clear, and will keep the grass or other vegetation clipped close to the ground. The longer vegetation or grass surrounding the tunnels that is left unclipped forms shelter over the runways. The runways are about an inch and a half wide. 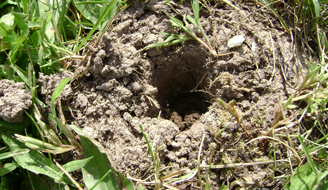 Voles do create burrow systems underground as well, and you may see small mounds of dirt indicating burrow openings. These runway systems are very noticeable in the spring after snow melts. Since voles will have the extra shelter of snow, they will move out into the more open areas of your yard and you'll see the criss-crossing paths on the ground. To check if you have voles active in your yard, or to check which runways are being used, check for an accumulation of droppings, no growing vegetation/roots in the middle of the runway, and freshly cut or clipped grass of the runway. Voles eat grasses and roots. Besides damage caused by their surface runways and small burrow entrance mounds, Voles may also damage your turf and landscape plants by feeding on the roots, which can cause the plants to dry out. In the fall and winter, their gnawing behavior can damage bark of bushes and trees. 116 of 117 people found this article informative and helpful.